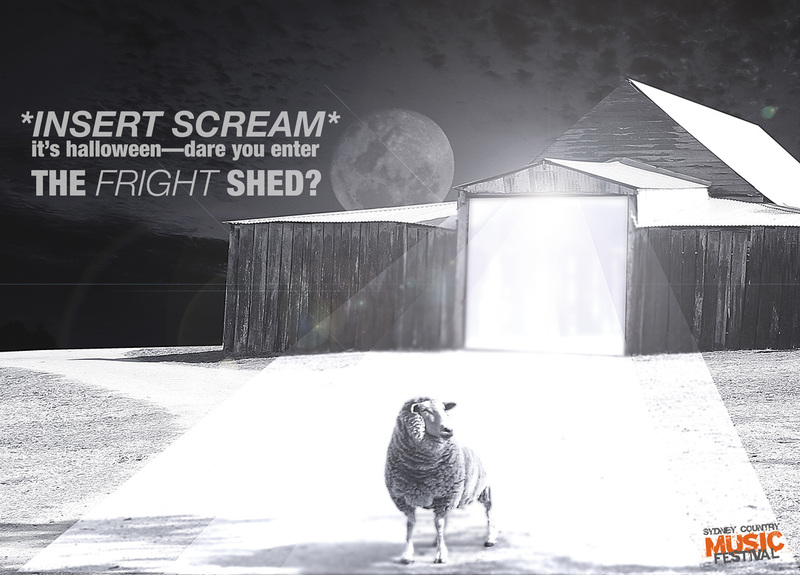 It’s Halloween on Saturday night at the Sydney Country Music Festival – Are you brave enough to enter the Fright Shed? To really give you the shivers, Bella Vista Farm Parks 200 year old barn will be transformed to scare even the strongest Cowboys and Cowgirls with rooms of Halloween horror including the creepy crawly Arachnophobia room; Asylum room with chilling serial killer clowns and psychotic patients; Hannibal The Cannibal complete with body parts and blood; The Walking Dead where zombies roam free and many other creepy attractions. Think of this as risk management practice disguised as LOADS OF FUN! We are putting you in a controlled situation, training you on how to deal with a real scenario... what would you do if there was a zombie apocalypse? We can test you... what if you come across a REAL ghost on an investigation? This is how you would react! You can give yourself and your friends the Halloween heebie-jeebies. Insert your own scream here... For only a small entry fee after entering the Festival. WHO’S GAME? Tickets, accommodation and camping on sale now at www.sydneycountrymusicfestival.com.au.